The Canton Charge, the NBA G League franchise exclusively owned and operated by the Cleveland Cavaliers, will play at Quicken Loans Arena for the second consecutive year in celebration of Ohio basketball on Saturday, February 2nd. The Charge’s matchup against the Windy City Bulls at 2:00 p.m. is presented by Visit Canton. The first 5,000 fans into the arena will receive an exclusive Charge & Cavs “Ohio Basketball” three-quarter length sleeve shirt courtesy of Visit Canton. Fans attending the game can also enjoy $1 Sugardale hot dogs. Tickets start at just $5 and are on sale now at CantonCharge.com, TheQArena.com, any Northern Ohio Discount Drug Mart and the Quicken Loans Arena box office. VIP floor seating which includes food, beer, wine and soda is also available by calling 866-444-1944. Doors to The Q will open at 1:00 p.m. Youth basketball teams throughout the area will be celebrated during the game as benchwarmers, honorary captains, in a high five tunnel on the hardwood and more! All kids 14-years-old and under attending the game wearing a basketball jersey are invited onto the Cavs court to take a group photo postgame with Charge players to celebrate youth basketball in the community. It’s a full day of hoops in Northeast Ohio as the Cavs will also play at The Q that evening in a matchup against the Dallas Mavericks at 7:30 p.m. Die-hard fans can get in on the action of both games with the “Hoops Junkie” package, with tickets to BOTH the Charge and Cavs games on February 2nd, starting at only $19! Canton Charge Nation Memberships for the 2019-20 season start at just $5 per seat and are on sale now. Memberships include the best seats, lowest guaranteed prices and year-round benefits. Single game tickets and group tickets for the remaining 2018-19 season are also on sale now. Big giveaway nights such as the Charge t-shirt giveaway (March 2nd), Collin Sexton bobblehead (March 9th) and Larry Nance Jr. bobblehead (March 16th) are still to come! Visit CantonCharge.com for more information. The Canton Charge are part of the Cleveland Cavaliers and Quicken Loans Arena organization and are also owned by a group led by Cavaliers Chairman Dan Gilbert. 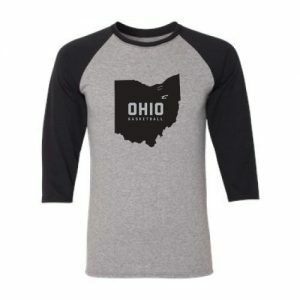 The group also owns and operates the Cleveland Gladiators of the Arena Football League and the Cleveland Monsters of the American Hockey League, both of which play their games at Quicken Loans Arena in downtown Cleveland.